Below Zero specializes in providing quality solutions for domestic and commercial air conditioning requirements on the Fleurieu Peninsula. From supply and installation to service, repairs, and maintenance – we cater to all aspects of air conditioning. We supply and install all types of air conditioners including ducted and split systems. If you are an air conditioning novice you can rely on the Below Zero team of skilled aircon experts and technicians to advise you on the right product to suit your requirements. Our rich experience of 27 years and commitment to quality are the hallmarks of our business. We work with market leading brands such as Mitsubishi, Daikin & Fujitsu and as an authorized dealer Below Zero offers competitive pricing. Below Zero will present you with a complete package. We will happily make an appointment time to come to your home to measure the area you are wanting to cool/heat or if you are in the building stages you can drop into our showroom and we can provide you with a quote by reviewing your plans. We supply market leading quality brands, installation is done by our professional highly trained technicians in an agreeable timeframe and we are happy to send you a friendly reminder annually to service your air conditioner to keep it performing in top condition, ensuring not only your continued comfort but reliability and energy efficiency. Below Zero meet government & industry standards, while our leading brands meet manufacturing regulations and standards. A thorough assessment of any existing building before making recommendations for the ideal HVAC (heating, ventilation, air conditioning) systems for the premises can be arranged. This allows for better climate control, cohesive ventilation ensuring improved air quality in the building while maximizing energy efficiency. Sam Lawson has 27 years’ experience in reviewing plans and specifications for many and varied commercial projects. 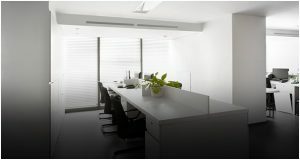 Sam will select the most suitable system not only with efficiency in mind but will also advise on the best location for the installation all the while being mindful of the cost. Below Zero provide a twelve (12) month warranty on all installations. Mitsubishi: five (5) year parts and labour warranty. Daikin: five (5) year parts and labour warranty. Fujitsu: five (5) year parts and labour warranty. These prominent brands are all leaders in the research and development of Air Conditioners. We are often asked, “How often should I service my air conditioner”? A quick way to answer this question is to use ‘The Car Analogy’ – we all regularly service our cars to keep them running smoothly and efficiently, this applies to our air conditioners too. Many of Below Zero customers are on our annual maintenance reminder email list, we happily send you an email reminder or give you a call to suggest a service is due. We service all brands of air conditioners. 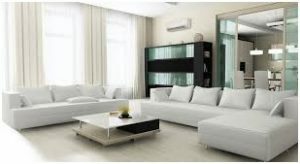 An air conditioner service includes cleaning air filters, checking indoor and outdoor units running systems, and checking operations including temperatures etc. Regular servicing allows for any faults to be identified before they could potentially disable your air conditioner. Experts recommend regular maintenance of your air conditioners to retain their optimum performance levels. During a change of season, our air conditioners often become less effective and not as energy efficient. This is attributable to poor maintenance and upkeep. Below Zero provide scheduled as well as preventive maintenance packages for both domestic and commercial air conditioners. Additionally, our aircon repair services are secondary to none, given our in-depth experience and easy access to spare parts of all leading brands. Spare parts from only the best national and international brands including Daikin, Mitsubishi & Fujitsu. We have extensive resources representing a wide range of brands for spare parts that we can access within minimum timeframes. At Below Zero, we offer end-to-end solutions for all your air conditioning and ventilation needs and maximum energy efficiency. Below Zero has a widespread network of suppliers across South Australia. This enables us to source air conditioners and spare parts with ease and minimum waiting times. For prompt service and quality workmanship, give Below Zero a call today at 08 8552 8666 for a free quote. CALL BELOW ZERO TODAY FOR PROFESSIONAL AIR CONDITIONING & REFRIGERATION SOLUTIONS.